New celebrity judge Heidi Klum arrives at the "America`s Got Talent" auditions. 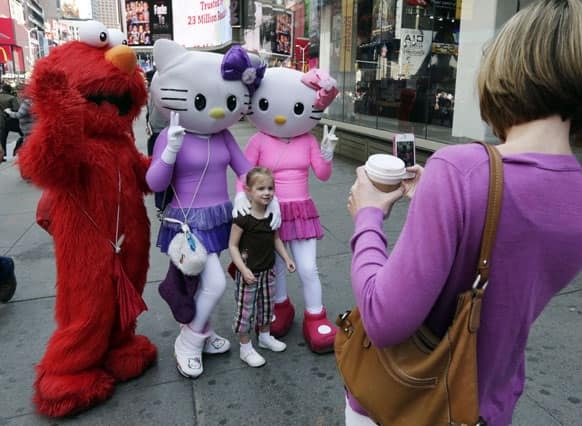 Elmo and two Hello Kitty characters pose for photos with a little girl in New York`s Times Square. Armenian election runner-up Raffi Hovanessian is helped up after he fell during clashes between his supporters and police in Yerevan, Armenia. 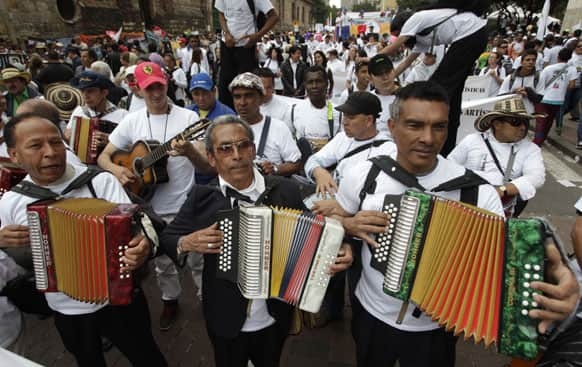 Musicians play during a March for Peace in Bogota, Colombia. Actress Sarah Hyland, from the ABC comedy series "Modern Family," poses at an event to kick off a new beauty campaign for Heart Calgon at Dylan`s Candy Store. 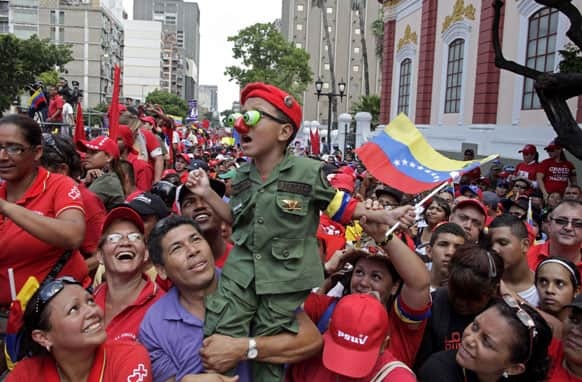 A boy dressed in military fatigues is held up by a man at a campaign rally for Venezuela`s acting president and ruling party presidential candidate Nicolas Maduro in Caracas. 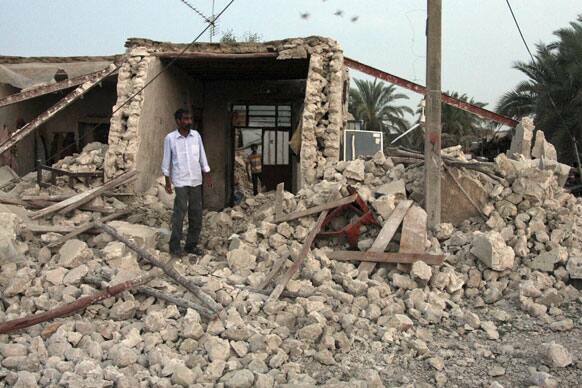 An Iranian man stands among the ruins of buildings after an earthquake struck southern Iran. A model carries a bag created by Peru`s Jimena Mujica during Lima Fashion Week in Lima, Peru. 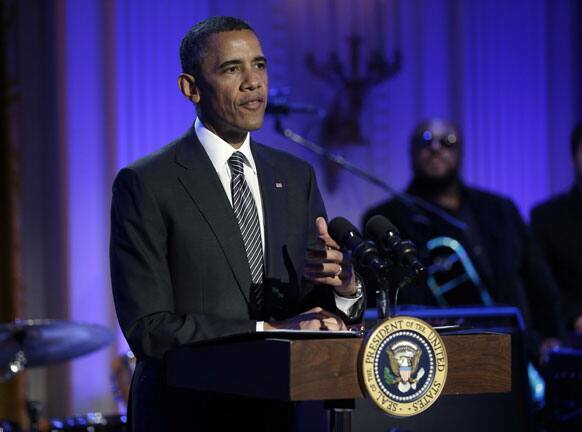 President Barack Obama speaks during the “In Performance at the White House” in the East Room of the White House in Washington. 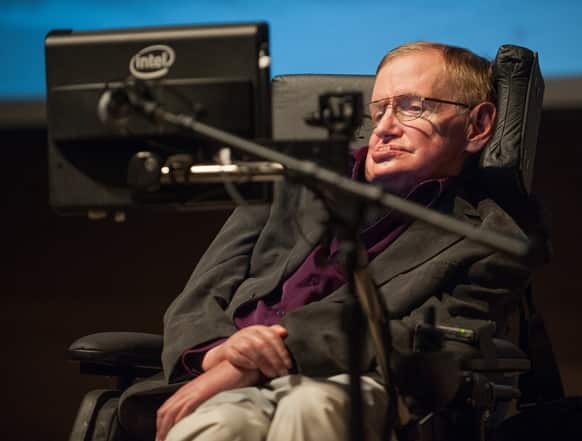 British cosmologist Stephen Hawking, who has motor neuron disease, gives a talk titled "A Brief History of Mine," to workers at Cedars-Sinai Medical Center in Los Angeles. 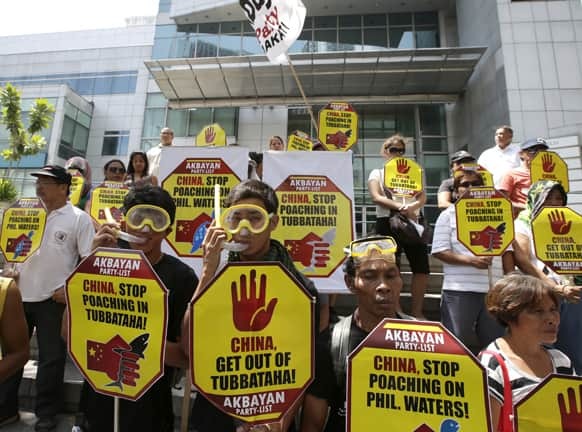 Protesters display placards as they picket the Chinese Consulate at the financial district of Makati city, Manila, to protest the grounding of a Chinese fishing vessel off Tubbataha Reef, a World Heritage Marine Site, in Southwestern Philippines. 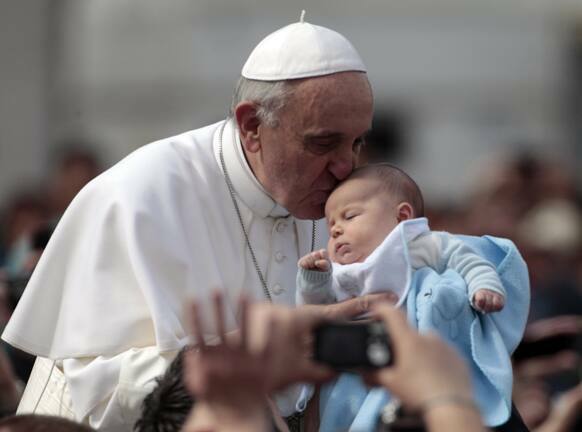 Pope Francis kisses a baby as he is driven through the crowd with his popemobile in St. Peter`s Square prior to the start of his weekly general audience at the Vatican. 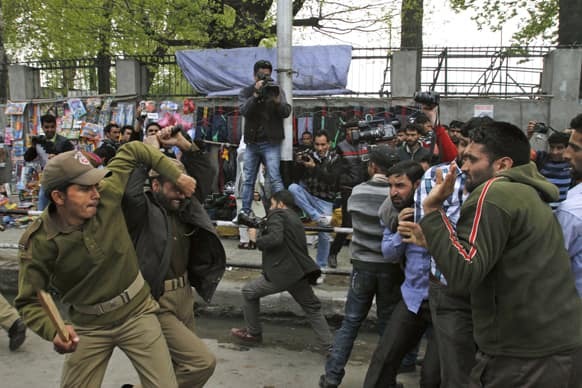 Policemen beat Kashmiri government employees during a protest in Srinagar. Police used force to stop the government employees during a protest called by the workers` union demanding regularization of contractual jobs and a hike in salary. 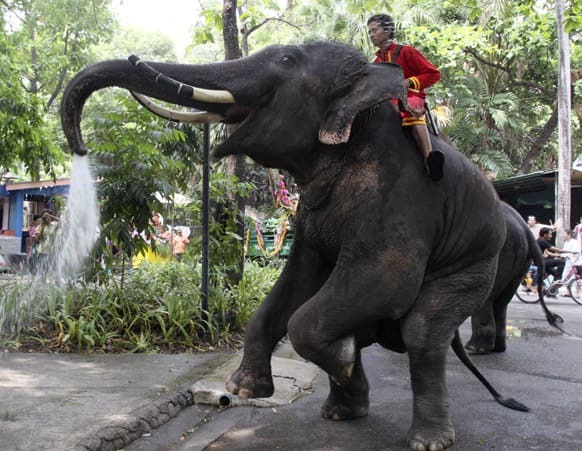 Assisted by its mahout, an elephant blows water from its trunk ahead of the Songkran festival, Thai New Year celebration, at Dusit Zoo in Bangkok. 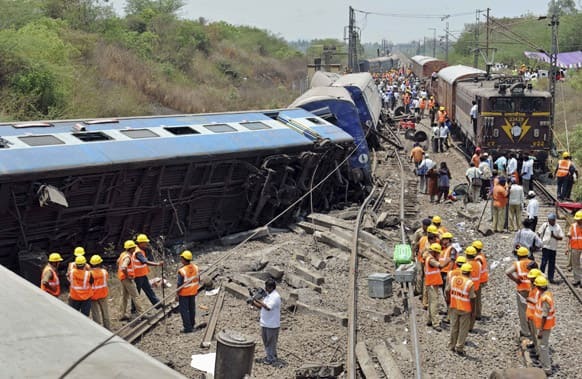 Rescue workers gather at the site of a train accident near in Sitheri near Arakkonam. 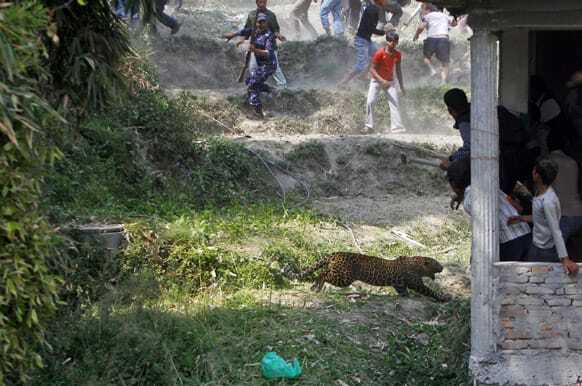 A leopard runs to attack as Nepalese people run for cover at Gothatar, Katmandu, Nepal. According to reports, 15 people were injured including three policemen and two officials from the Department of Forest. People affected with HIV participate in a protest rally to oppose a free trade agreement between India and European Union, in New Delhi. 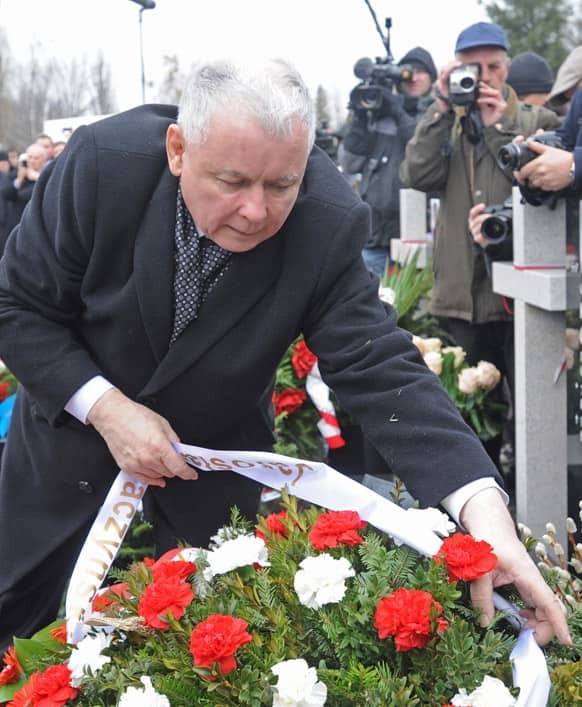 Opposition leader Jaroslaw Kaczynski lays a wreath at the memorial dedicated to the 96 victims of the presidential plane crash, among them his twin brother President Lech Kaczynski, as he commemorates the third anniversary of the accident, at the Powazki cemetery in Poland. 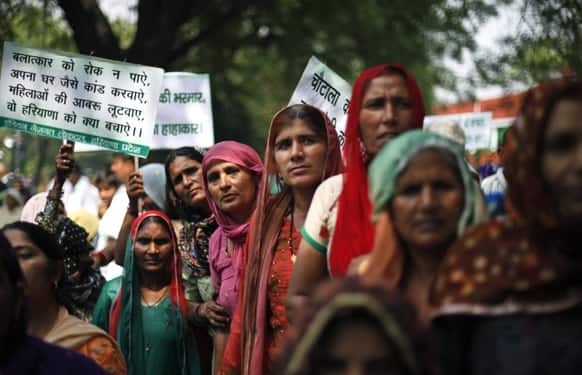 Women from Haryana listen to a speaker, unseen, while participating in a rally criticizing the rise in crimes against women in New Delhi. 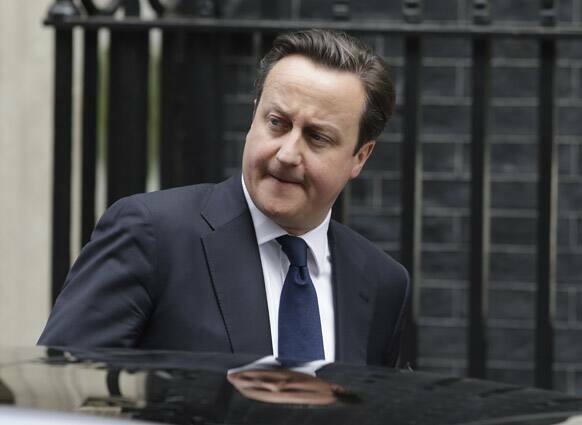 British Prime Minister David Cameron leaves his official residence at 10 Downing street in London, on his way to the Houses of Parliament. The British Parliament was convened for a special session Wednesday to pay tribute to former prime minister Margaret Thatcher. 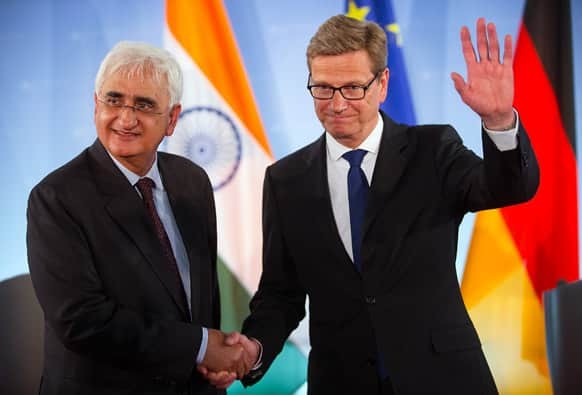 German Foreign Minister Guido Westerwelle and his Indian colleague Salman Khurshid shake hands after a press conference at the Foreign Office in Berlin, Germany. 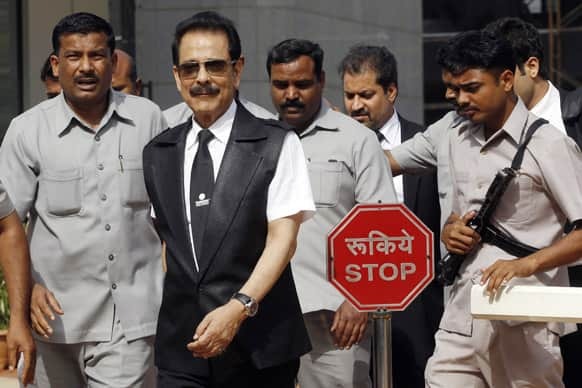 Chairman of Sahara India Pariwar Subrata Roy comes out of Securities Exchange Board of India (SEBI) office in Mumbai.